Israel has come a long way since the 1950s, when waves of immigration flooded the new state. Gathering in Jews from the four corners of the world, the cultural diversity they brought with them was not always quite as welcome. This was a particularly painful issue for Jews who came from Arab countries, whose mother tongue represented for many the language of the enemy. In the film, Yair Dalal says, “I remember as a child we would yell at our parents to turn off the radio: I don’t want the neighbors to hear that we listen to music in Arabic.” This new cultural entity – the Israeli – was imagined as a kind of new and improved European, just as immersed in Western culture but more muscular and a little rough around the edges. The contemporary cultural environment is more open, although much has been lost over time, and acceptance of cultural and ethnic diversity is often in name only. Iraq ‘n’ Roll opens with a noisy crowd gathered around a new street sign: Al-Kuwaity Brothers Street. In belated official recognition, a street in their neighborhood was named after the brothers in February, 2009. A woman on the street raises her voice, not in celebration, but in protest: “What is the Al-Kuwaity Brothers?” A child asks, “What is this name?” Whether the objection is to the naming of a street in Arabic, or to honoring Jews from Iraq, it’s clear that the road to tolerance is a long one, and that the Al-Kuwaity brothers remain on the margins of mainstream Israeli culture. Cut to a blaze of electric guitars in blue stage lights – this is the world of Dudu Tassa and his contemporaries. Tassa, who recorded his first album at the age of 13, came of age musically at a time when culture went global. Growing up in a language environment that was almost exclusively Hebrew, the language Tassa was most likely to encounter on the radio and internet is English. Coming from a distance of time, language and culture, it took time for Tassa to connect to the music of the Al-Kuwaitys. On his third album, Out of Choice, released in 2003, he recorded their song “Fug el Nahal,” the song was included on the soundtrack of Avi Nesher’s film “Turn Left at the End of the World” which focuses on the struggles of new immigrants in Israel of the early 1960s. Tassa traces the path of his famous ancestors through conversations with his mother, Carmela Tassa; Shlomo Al-Kuwaity, Saleh’s son; Nahum Aharon Barazani who recorded many performances of the brothers on the Arab Channel of the Israel Broadcasting Authority (IBA); Albert Elias, who played flute with the brothers in Israel, still lively in his nineties; and Yossi Levy, owner of the Noah Café where they performed. Walking through the streets of Hatikva neighborhood in the south of Tel Aviv, looking up at the apartment where his mother shared a bedroom with her five sisters, and the musicians rehearsed in a small room off the balcony; exploring the archives at the IBA; or moving between guitar and laptop – Tassa listens to the music of the Al-Kuwaitys and brings his own voice into the song. 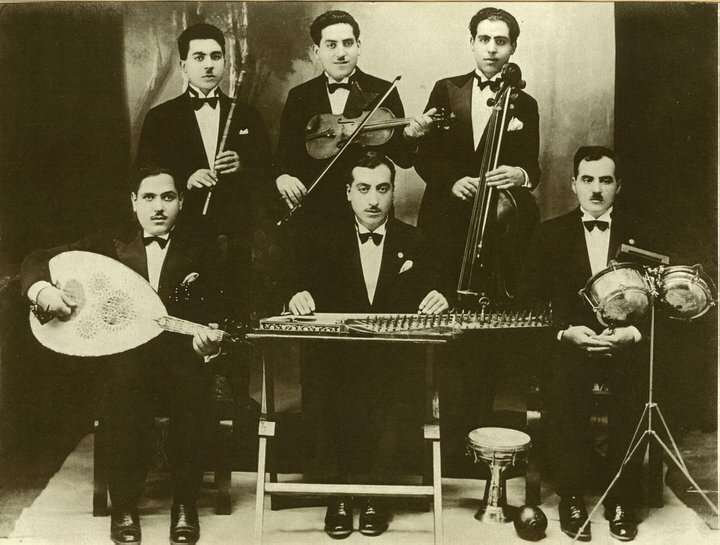 It is a journey that culminated in the 2011 album Dudu Tassa and the Kuwaitys, recorded with his mother Carmela Tassa, Yehudit Ravitz, Barry Saharof and Yair Dalal. Here you have a link to fug el nahal plyed by samirsproject in an istrumenal recording on a bulbultarang – which is an Indian banjo.